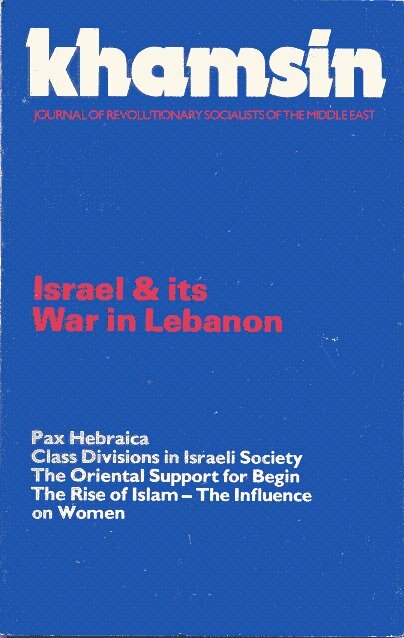 KHAMSIN was founded in 1975 in Paris, France, and jointly edited by Leila Kadi of Lebanon and the late Eli Lobel, a member of The Israeli Socialist Organization (Matzpen). 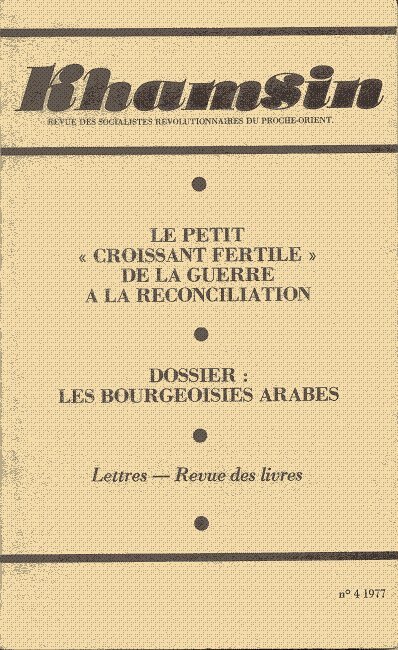 The first four issues (1, 2, 3, 4) were published in French by Editions Fraçois Maspero (Paris). 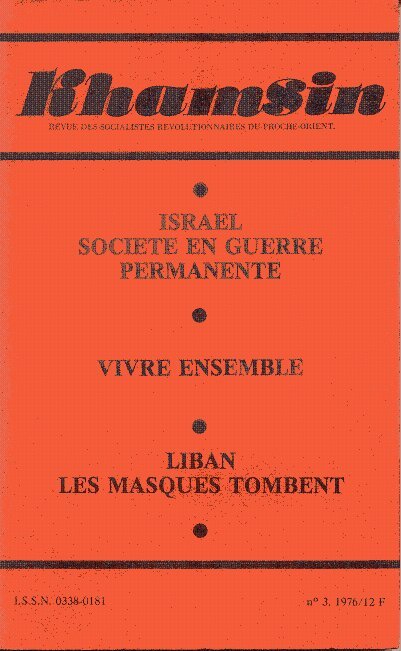 Four people joined the editorial board in 1978, namely Avishai Ehrlich, Moshé Machover, Mikhal Marouan and Khalil To’ama, and the next nine issues – starting with no. 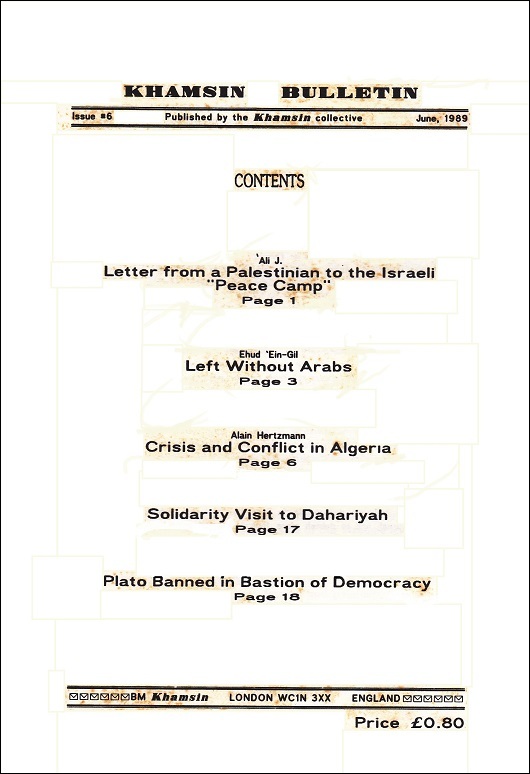 5, were published in London, in English. 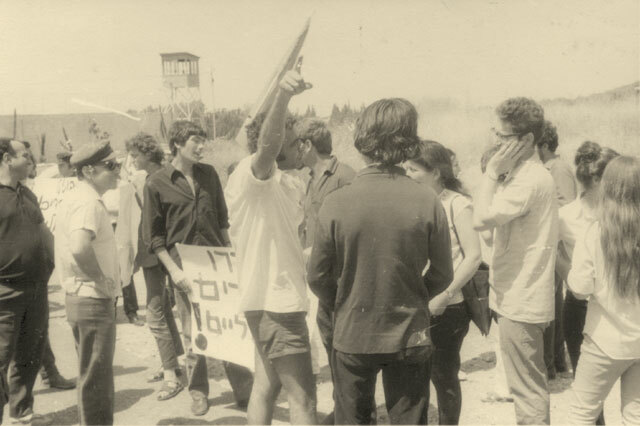 The composition of the editorial board changed from time to time, but members of Matzpen were always actively involved. 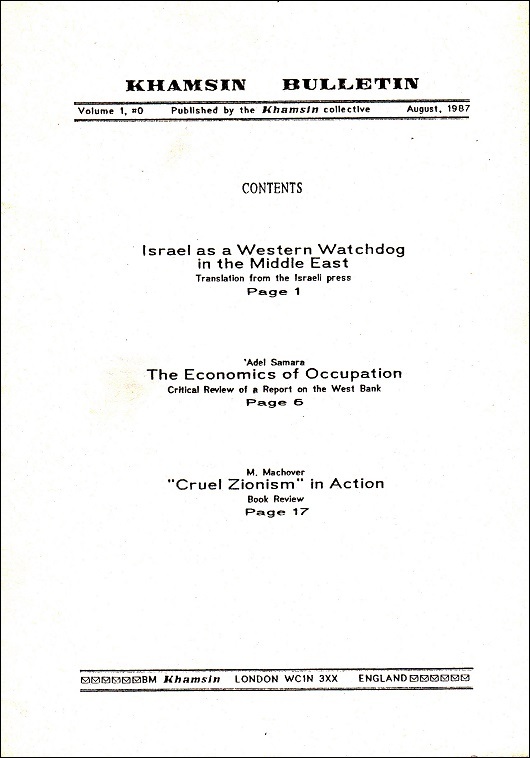 The last (14th) issue was published in London, 1989. 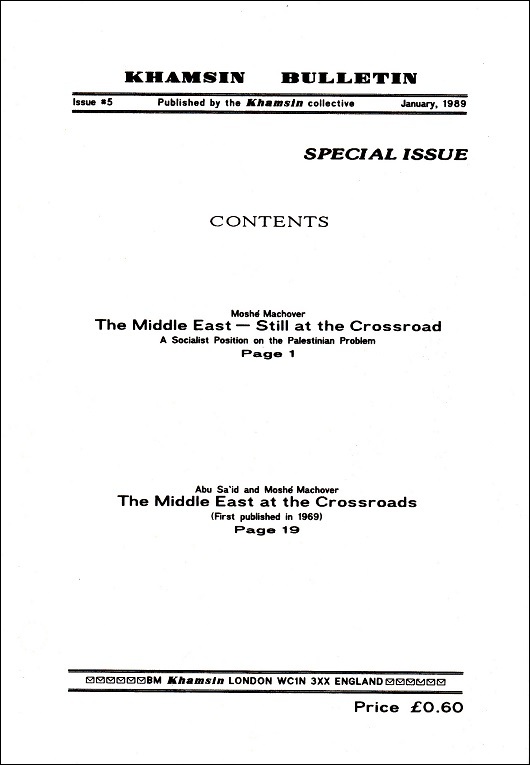 The last two issues did not carry a serial number. 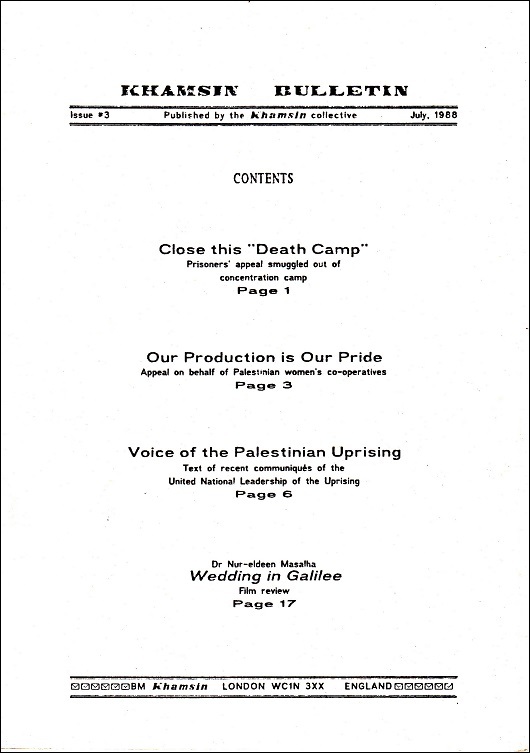 KHAMSIN is a journal published by revolutionary socialists of the Middle East. 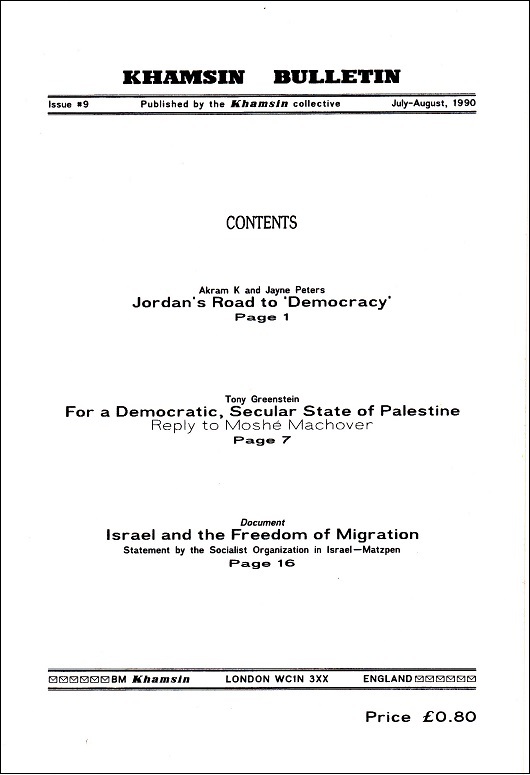 It is also for them, and for socialists in other countries who are interested in that part of the world. 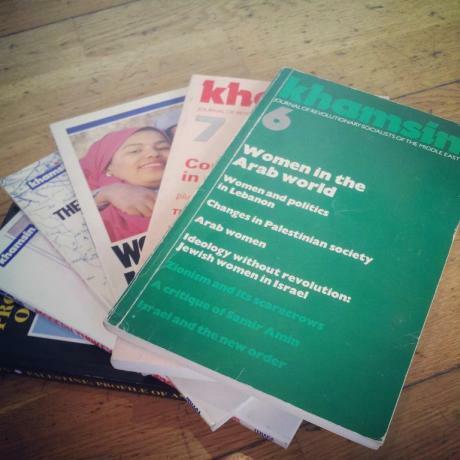 Khamsin is a committed journal. 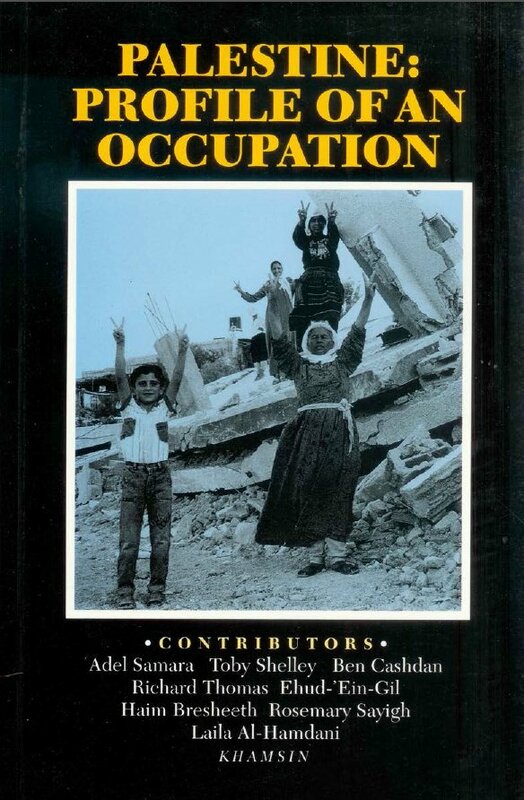 It aims not merely to reflect and express, but also to be part of the struggles for social liberation and against nationalist and religious mystifications. 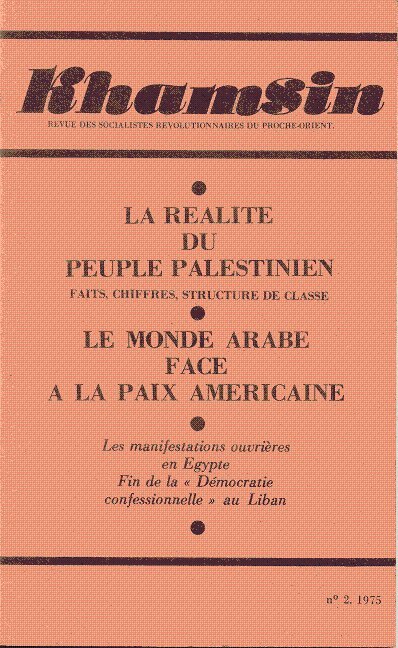 establishment of a united socialist Arab world, within which the non-Arab nationalities will also enjoy, by right and in fact, full social equality, individual liberty and national freedom. 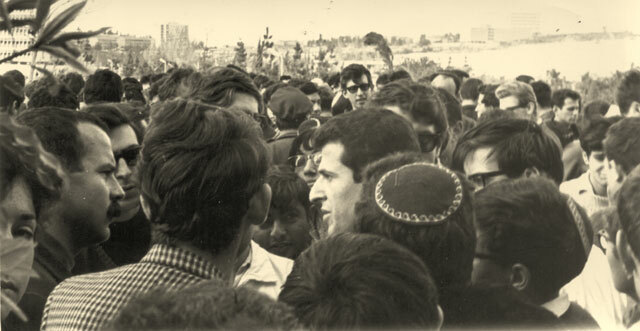 The members of Khamsin collective, from various countries of the region and belonging to different political tendencies, are united round this aim. 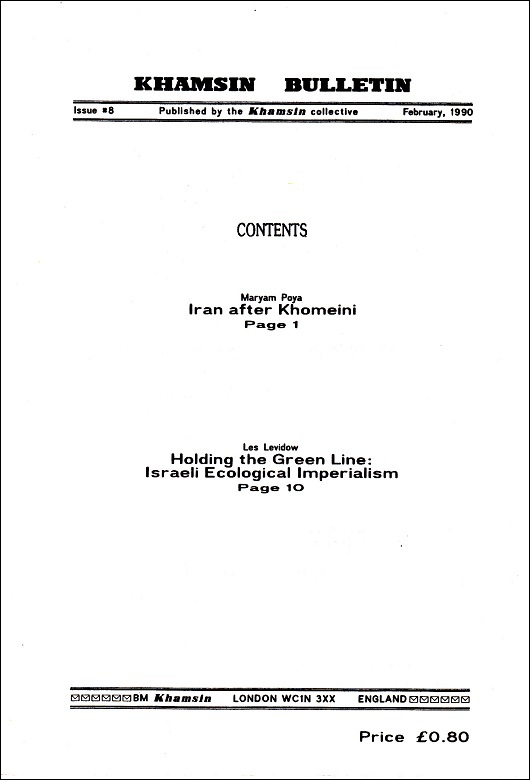 However, Khamsin is not a political organ but a forum in which aims themselves, as well as the strategy for achieving them, can be debated and discussed among the various shades of revolutionary left opinion. 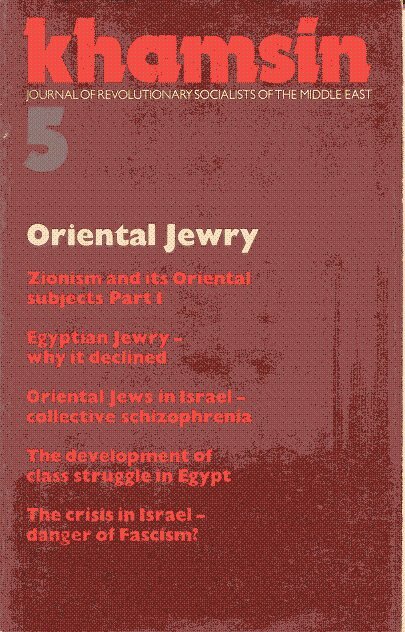 Part of each issue of the English language Khamsin was devoted to a central theme: Oriental Jewry (no. 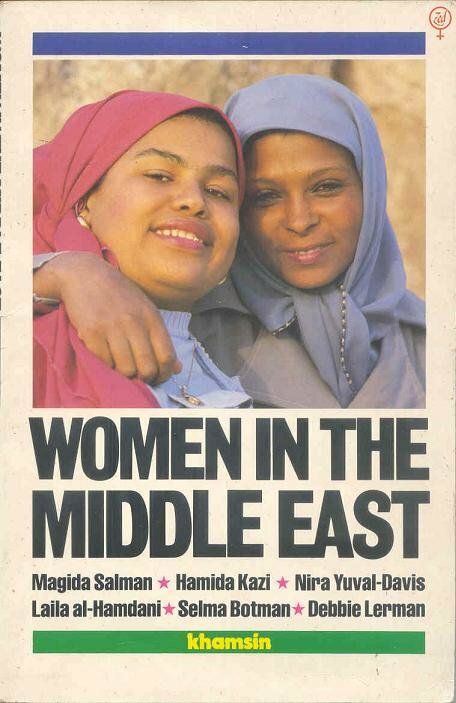 5), Women in the Arab World (no. 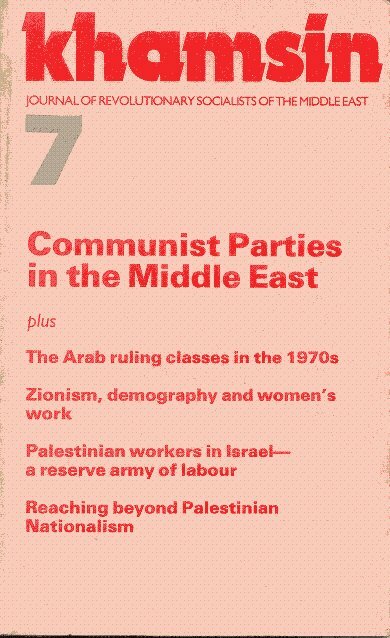 6), Communist Parties in the Middle East (no.7), Politics of Religion in the Middle East (no. 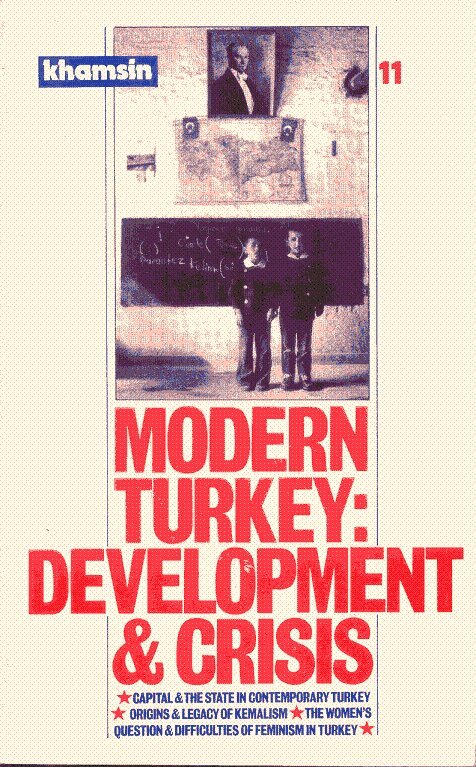 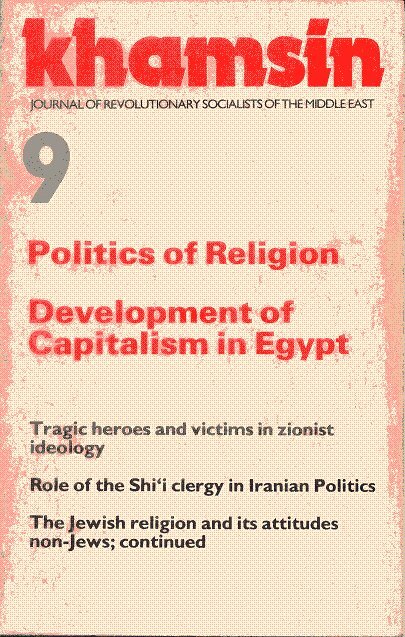 8), Politics of Religion / Development of Capitalism in Egypt (no.9), Israel and its War in Lebanon (no.10), Modern Turkey: Development and Crisis (no.11), and The Gulf [Iran–Iraq] War (no.12). 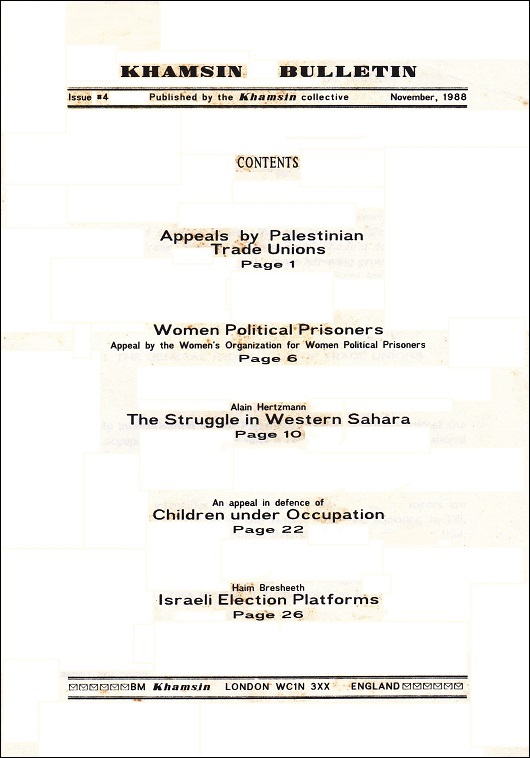 Another, un-numbered issue was dedicated again to Women in the Middle East, and last issue was dedicated to Palestine – Profile of an Occupation. 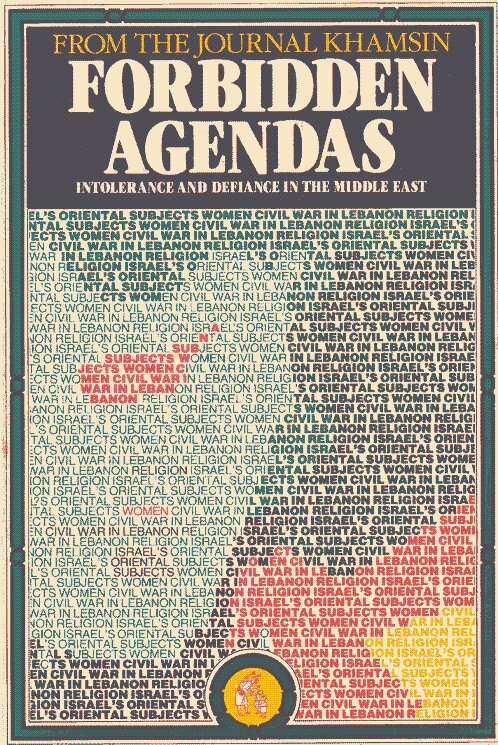 An anthology of articles from Khamsin (1976-1983), selected and introduced by Jon Rothschild, was published as a book “Forbidden Agendas” (Al Saqi Books, London 1984). 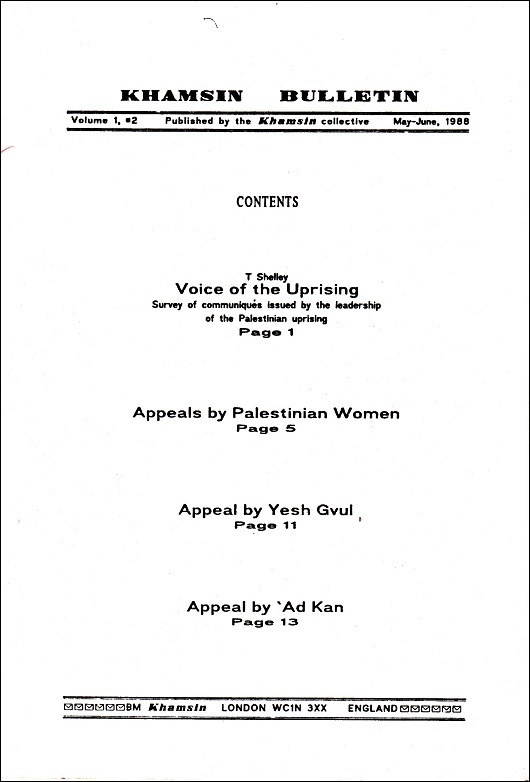 In 1987 the Khamsin collective started publishing Bulletins. 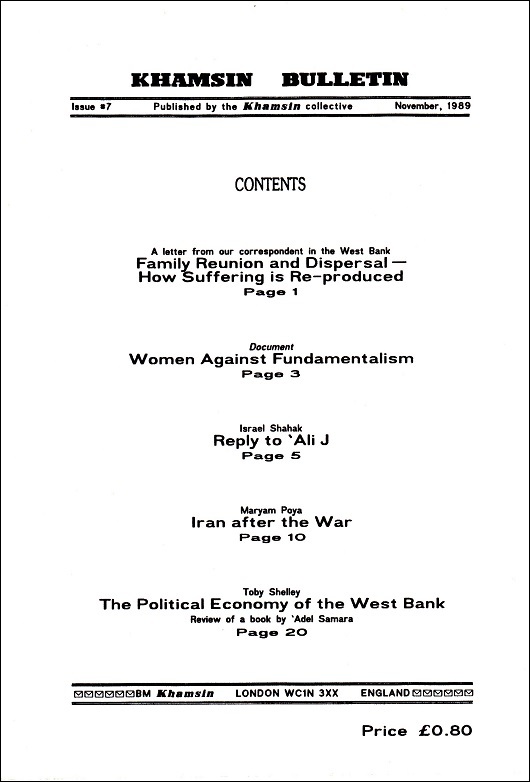 Nine such Bulletins were published. 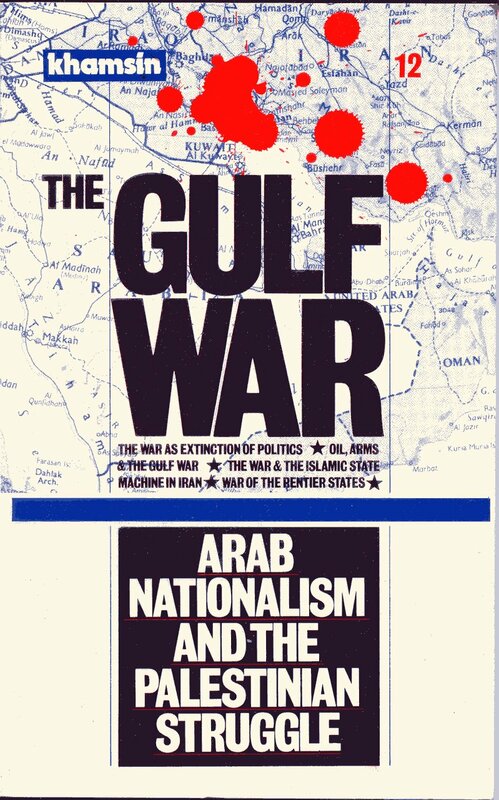 The first one appeared in August 1987, the last in August 1990.